1) Unpleasant. The aroma of pot-distilled rye spirit melds with the aroma of juniper to create something that smells like wood varnish, only worse. 2) Spicy and exotic. Fennel seed, mango, lemon grass, bay leaf, sage. 3) More conventional and balanced but still very good. Citrus peel, anise, grains of paradise, coriander, juniper. 1) Tastes worse than it smells. Thick and varnishy. Brings back memories of varnishing a birdhouse on a hot, humid day. The rye white dog and juniper tastes are like mustard and ice cream. Mustard is good and ice cream is good, but together they are disgusting. 3) Medium-bodied and sophisticated. Sweet cassia dominates in a very pleasant way with the other botanicals harmonizing nicely. 1) Finish is no better, but at least it doesn’t get any worse. More varnish. Mercifully short. 2) Bright, juniper/herbal finish that lingers for a long, long time. 3) Fairly dry and spicy. More coriander and a hint of cumin as it very slowly fades. The dry rye did very poorly with tonic and in a martini, essentially ruining both drinks. The bottom of the package containing the three bottles recommended using the dry rye in a Negroni which I did. It fared much better in that drink, but I’m not interested in buying a gin that only tastes good in one particular drink. I don’t think many other people are either. Others gin drinking friends who tried it, even in the Negroni, also disliked it. One said it tasted like white dog. The other two did great in everything they I tried them in. They were excellent team players but also brought their own distinctives to the table. 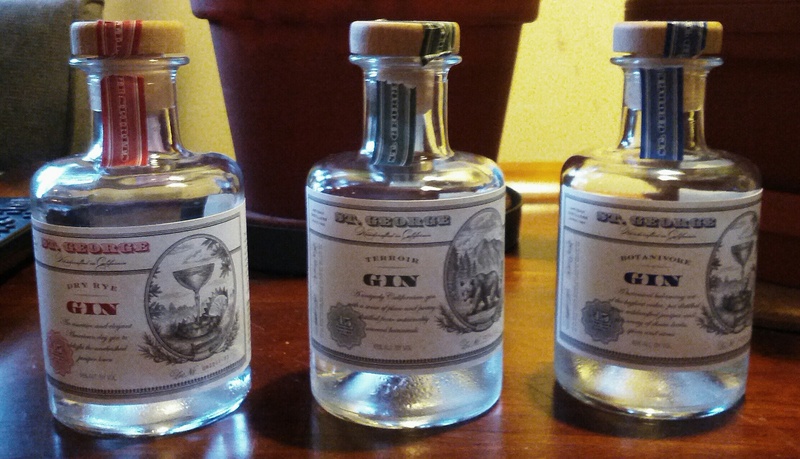 Out of the three, the Terroir Gin was my favorite. It was unlike any other gin I have tasted but still recognizable as gin. It’s a delight from beginning to end, and it’s the sort of experience I look for from a micro-gin. The Botanivore was very good too. It lost a little in comparison to the Terroir, but on its own it’s a wonderful product. Where Terroir is a bit garish, Botanivore is elegant. My friends were split between these two. Both were enjoyed but one favored the Botanivore while the other agreed with me. It probably goes without saying but Dry Rye is not recommended. Botanivore is recommended and Terroir is highly recommended. All have a minimum price of $37 per 750 ml bottle in Michigan. For this tasting, I purchased a set of three 200 ml bottles for $30 or thereabouts. Appearance: Clear but leaves big thick legs running down the side of the glass. Nose: Dry. Big juniper, but complex underneath and never smells like wood cleaner. Meyer lemon, orange peel, grains of paradise, coriander, cumin, angelica. On the palate: Full-bodied and floral. Juniper, boxwood, some citrus and white pepper. Finish: Herbal and spicy with a bit of burn. Clean and dry. Mixed: Makes an excellent dry martini but go very easy on the vermouth. Does well in a Tom Collins and with tonic, but a little wasted in those applications. 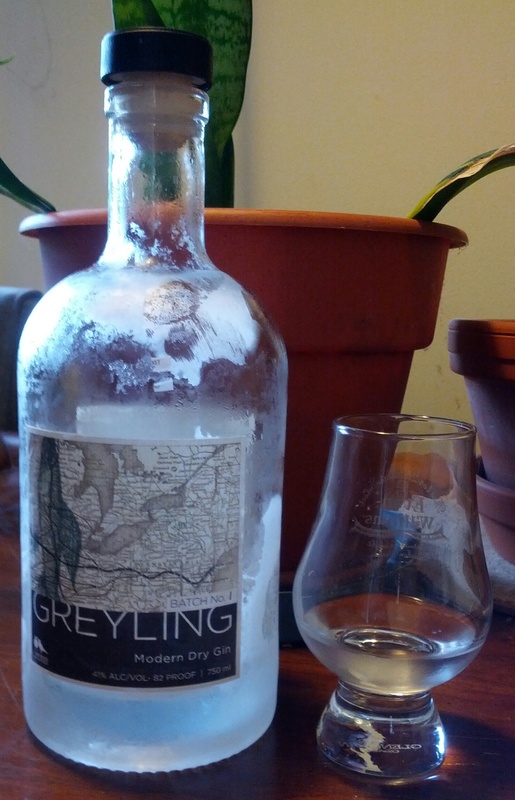 Parting words: Greyling is an excellent dry gin. It’s complex but never timid or confused. Juniper takes the lead here and everything else is harmonizing with it. Media coverage of the release of the gin emphasized the use of Michigan-grown lavender in the mix of botanicals, but I didn’t notice any when I was tasting for whatever reason. I would class this as a great martini gin or even for drinking neat. At just over $30 it’s priced reasonably for that sort of product. Two Birds is not as a distillery yet, if it ever will be, but the distiller is printed clearly on the back label without any sort of weasel words or other obfuscation. That’s a breath of fresh air in a world flooded by micro-bottlers trying to pass themselves off as distillers. And why should they hide anything about this product? It speaks for itself. Greyling Gin is highly recommended. Nose: Alcohol, juniper, lime peel, thyme. Opens up considerably with water. Aniseed, horehound, angelica, lavender. On the palate: Full bodied. Sweet, hot. Cinnamon, juniper, fruity hard candy. With water, still full bodied and still sweet. Rock candy, alcohol, not much else. Finish: Hot, menthol cough drops. More gentle with water, pleasantly sweet. Fades slowly with a hint of candied lemon peel. Mixed: Makes a sophisticated and well-balanced martini. Also does well with tonic. 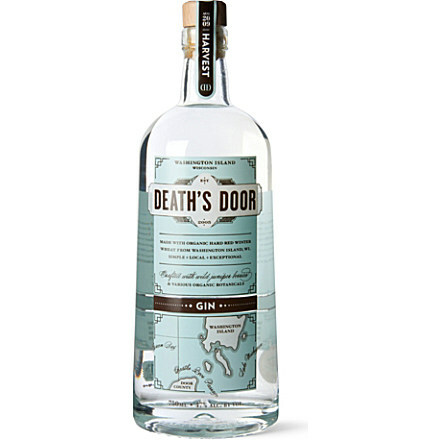 Parting words: Death’s Door is an excellent gin, one of the best micro-distilled American gins I’ve had. It’s versatile but interesting and sophisticated. Neat, the taste isn’t all that great but the nose is fantastic which is what gin is all about if you ask me. At $30 it’s at the upper end of the scale, but it’s worth every penny. Death’s Door Gin is recommended. Appearance: Clear with a clingy pearl necklace. Nose: Big horehound smell, lime leaves, lemon zest, juniper. As it settles in the glass, a burst of cassia seems to come out of nowhere. On the palate: Full bodied and fairly dry. Lots of horehound and fennel, a shot of cassia (like in the nose) then dies down to almost nothing. Finish: The horehound comes roaring back with a pound of black licorice in its mouth. A hurried bit of cinnamon and citrus, then the horehound comes slowly back and then sits out the rest of the finish hanging around on the porch. Mixed: Does well in all the cocktails I tried it in. The bitterness of the horehound complements most traditional mixers well and creates a nice balance. Parting words: This gin is a hot mess neat. It’s named after a plane (the B-24), but if the gin is any indication of what the plane was like, I would need a lot of Dramamine to take a flight in it. It wildly careens from botanical to botanical without ever finding balance. It’s definitely not boring though, and mixers calm it down considerably. The price isn’t terrible for a micro-gin but it’s not great either. All in all a good gin, even if it’s a little wacky. Liberator Gin is recommended. Appearance: Clear with long thin legs. Nose: Neutral spirit sweetness, faint notes of juniper, cinnamon, pumelo, orange peel and lime peel. On the palate: Medium bodied and soft. Sweet, with some bitter citrus peel and juniper notes. Finish: Pleasantly citrusy without being sour. Some sweetness, but fades quickly. Mixed: Works in G & Ts and Tom Collins but doesn’t distinguish itself. Makes for an interesting dry martini. The mild spice complements a mild vermouth very nicely. Parting words: After having it in G & Ts for a month, I was pleasantly surprised when I finally got around to trying Prohibition Gin in a dry martini and neat. Those applications are where it really excels. The bottle claims that it is from a nineteenth century recipe. 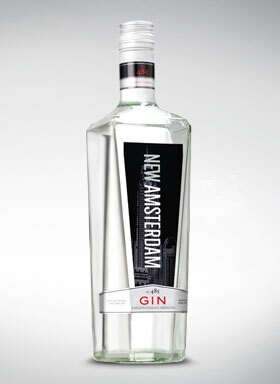 I don’t know how accurate that is, but this gin is a departure from the sharp, spicy mainstream gins popular currently. I don’t know if it officially qualifies as an Old Tom Gin, either but it is close to that style. Sweet and subtle. For a micro-distilled product, it’s not too expensive either. Prohibition Gin is recommended. Thanks to: Amy for the sample. Nose: Coniferous. Spruce, juniper, cedar, ginger, orange peel. On the palate: Full-bodied. rainier cherries, plum, cedar, oak, ginger, juniper, spruce. Parting words: Weird but good. I was only able to taste it in a dry martini and not in a G & T. According to my friend, it didn’t do too well in that application. At any rate, I enjoyed it. Its odd coniferousness sets it apart from the competition, and the Pinot (Noir, I’m assuming) finish takes the edge off the woodsy notes. Not a go-to, but good for a change of pace. The only criticism I would have is the rather high price, $35 at one of my local haunts. Nevertheless, Rogue Spirits Pink Spruce Gin is recommended.